On behalf of admin of JML Law, A Professional Law Corporation posted in Construction Accident on Tuesday, Oct 03 2017. Construction worker injuries are a widespread issue all over the world. Getting injured at a construction site can leave you incapable of doing physical work for months, years or even the rest of your life. And in some cases, it can even cost you your life. The demand for construction workers is growing in Los Angeles and all across the nation, but the shockingly high rate of negligence and gross misconduct of construction site owners shows no signs of going away. If you’re a construction worker and have suffered an injury at a construction site, you must be compensated for your pain, suffering and lost income accordingly. Now that we’ve established that construction is one of the most dangerous industries in Los Angeles, how common are construction worker injuries? One in ten American construction workers are injured every year. A construction worker has a 1 in 200 chance of dying at a construction site over the course of his career. Construction falls are the most common cause of fatal injuries at a construction site, with roof falls accounting for the vast majority of fatal falls. Texas accounts for the largest number of construction-related deaths. The second biggest killer of construction workers is California. The construction industry is the second in the U.S. for fatal injuries in construction workers under 18. Nearly 20% of all workplace deaths between 2002 and 2012 came from the construction industry. Fatalities at construction sites among construction workers are steadily growing, with 2015 showing the largest number of construction worker deaths since 2008. Getting injured at a construction site is never pretty. And the worst part is that many construction workers can’t obtain fair worker compensation for their damages. That’s why seeking help from an experienced Los Angeles construction injury attorney can make a huge difference. 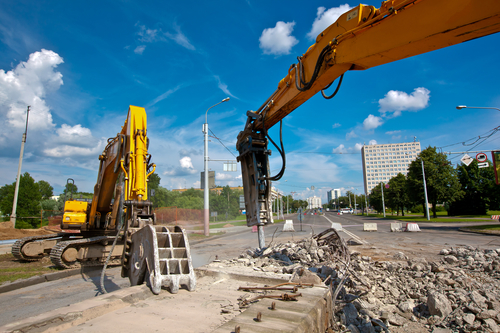 Our lawyers at JML Law will independently investigate accident scenes, the construction site owner’s safety procedures as well as inspect maintenance of all equipment, vehicles, and worksites to find solid evidence of the employer’s liability. Without solid evidence, you can’t get the maximum compensation that you deserve. Seek help from an experienced Los Angeles construction injury attorney immediately, as it’s not uncommon for construction site owners to cover up evidence of negligence and misconduct in order to minimize or deny your compensation. Call JML Law’s Los Angeles offices at 818-610-8800 today to launch the independent investigation and make those responsible for your injury pay for all of your damages. Only an attorney representing your best interests can assess the full value of compensation, and pursue your construction injury claim to make the construction owner pay to the very last penny. What damages are covered in a construction injury lawsuit? medical bills, including visits to doctors, all surgery expenses, and recovery treatment costs. Lost capacity, wages and income (you’re entitled to compensation for every penny you’re going to NOT EARN as a result of your injury. More damages can be collected if they apply to your particular case. Consult our construction injury attorney today to find out the full value of compensation in your particular case. Call JML Law at 818-610-8800 or send us an email. We offer a free initial consultation. Moreover, we don’t get paid unless you get compensated fairly.